Remember Merle Hazard? You know, the brains behind “Inflation or Deflation?” and “Bailout”? Now he’s back with a surf-music take on the looming Fiscal Cliff. Let’s hope we don’t wipe out. Orbitz Worldwide Inc. has found that people who use Apple Inc.’s Mac computers spend as much as 30% more a night on hotels, so the online travel agency is starting to show them different, and sometimes costlier, travel options than Windows visitors see. The Orbitz effort, which is in its early stages, demonstrates how tracking people’s online activities can use even seemingly innocuous information—in this case, the fact that customers are visiting Orbitz.com from a Mac—to start predicting their tastes and spending habits. Orbitz executives confirmed that the company is experimenting with showing different hotel offers to Mac and PC visitors, but said the company isn’t showing the same room to different users at different prices. They also pointed out that users can opt to rank results by price. As Mattioli notes, it’s important to keep in mind that Orbitz isn’t offering different prices, it’s just deciding which hotels to list prominently. And your operating system is just one of many factors that go into this calculation. Others include deals (hotels offering deals move up the rankings), referring site (which can reveal a lot about your preferences), return visits (Orbitz learns your tastes), and location (folks from Greenwich, CT probably see more expensive hotels than those from El Paso). 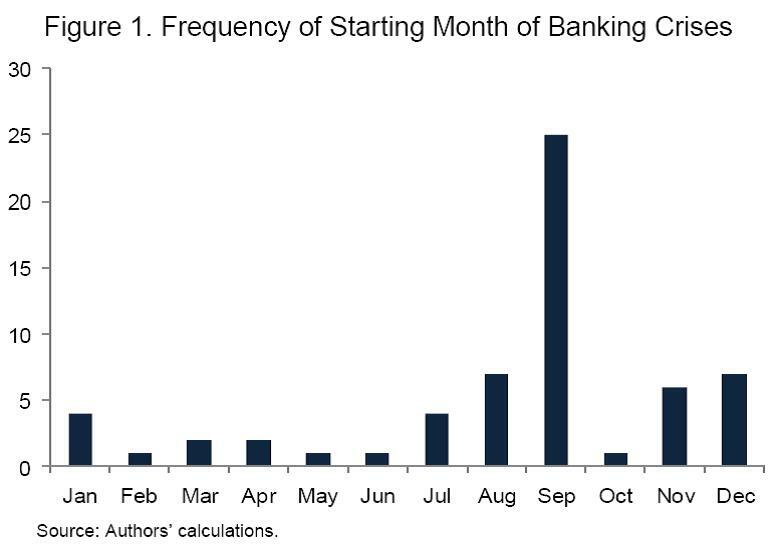 Will September Bring Another Banking Crisis? So let’s enjoy what few days of June remain. P.S. Theories to explain this pattern are appreciated. Or maybe it’s a spurious correlation, at Tyler Cowen hints. Financial repression and extractive institutions are two of the big memes in international economics today. Financial repression occurs when governments intervene in financial markets to channel cheap funds to themselves. With sovereign debts skyrocketing, for example, governments may try to force their citizens, banks, and others to finance those debts at artificially low interest rates. Extractive institutions are policies that attempt to redirect resources to politically-favored elites. Classic examples are the artificial monopolies often granted by governments in what would otherwise be structurally competitive markets. Daron Acemoglu and James Robinson have recently argued that such institutions are a key reason Why Nations Fail. Inclusive institutions, in contrast, promote widely-shared prosperity. Over at Bronte Capital, John Hempton brings these two ideas together in an argument that Chinese elites are using financial repression to extract wealth from state-owned enterprises. In a nutshell, he believes Chinese authorities have artificially lowered the interest rates that regular Chinese citizens earn on their savings (that’s the repression), and have directed these cheap funds to finance “staggeringly unprofitable” state enterprises that nonetheless manage to spin out vast wealth for connected elites and their families. I don’t have the requisite first-hand knowledge to judge his hypothesis myself. But both his original post and recent follow-up addressing feedback are worth a close read. Twenty years ago, world leaders gathered in Rio de Janeiro to grapple with climate change, biological diversity, and other environmental challenges. Today they are back again, but with much less fanfare. If my Twitter feed is any indication, Rio+20 is getting much less attention that the original Earth Summit. One item that deserves attention is greater emphasis on getting business involved in protecting the environment. For example, two dozen leading businesses–from Alcoa to Xerox–teamed up with The Nature Conservancy on a vision for The New Business Imperative: Valuing Natural Capital (interactive, pdf). The report lays out the business case that natural resources have real economic value, even if they aren’t traded in markets, and that protecting them can sometimes reduce costs, maintain supplies, soften the blow of future regulation, and build goodwill with customers, communities, and workers. 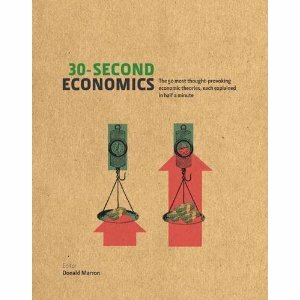 All kind of obvious, at one level, but nonetheless useful to see in print with examples and commitments. Strong, reliable manmade (“gray”) infrastructure undergirds a healthy marketplace, and most companies depend heavily on it to operate effectively and efficiently. Yet increasingly, companies are seeing the enormous potential for “natural infrastructure” in the form of wetlands and forests, watersheds and coastal habitats to perform many of the same tasks as gray infrastructure — sometimes better and more cheaply. For instance, investing in protection of coral reefs and mangroves can provide a stronger barrier to protect coastal operations against flooding and storm surge during extreme weather, while inland flooding can be reduced by strategic investments in catchment forests, vegetation and marshes. Forests are also crucial for maintaining usable freshwater sources, as well as for naturally regulating water flow. Putting funds into maintaining a wetland near a processing or manufacturing plant can be a more cost- effective way of meeting regulatory requirements than building a wastewater treatment facility, as evidenced by the Dow Chemical Seadrift, Texas facility, where a 110-acre constructed wetland provides tertiary wastewater treatment of five million gallons a day. While the cost of a traditional “gray”treatment installation averages >$40 million, Dow’s up-front costs were just $1.4 million. For companies reliant on agricultural systems, improved land management of forests and ecosystems along field edges and streams, along with the introduction of more diversified and resilient sustainable agriculture systems, can minimize dependency on external inputs like artificial fertilizers, pesticides and blue irrigation water. To encourage such investments, where they make sense, lawmakers and regulators need to focus on performance–is the wastewater getting clean?–rather than the use of specific technologies or construction. According to the chart, India (orange) and China (red) together comprised more than two-thirds of the globe’s economic activity back in year 1 (well, not so much the globe, but the chosen countries). By 1950, their share had fallen to only one-eighth, thanks to the growth of the United States (green), Western Europe (shades of blue), Russia (gray), and Japan (yellow). Since then, China has been gaining share. Not surprisingly, the chart has already attracted attention in the blogosphere. Over at the Atlantic, Derek Thompson slices and dices the data to see how much of the pattern reflects the ebbs and flows of population vs. productivity. Given data limitations, this chart also compresses the x-axis, but using bars and variable-width gaps make it much clearer that there are jumps between years. The focus on a limited number of countries also makes it clear that the chart omits countries that account for 30-40% of world GDP. In Cembalest’s chart, in contrast, one wonders what happened to South America, the Nordic countries, Canada, Africa ex Egypt, etc. His listed countries appear to sum to 100% of world GDP, but large swathes of the world are unaccounted for.